Heart disease in women remains understudied, underdiagnosed and undertreated in Canada, a new report from Heart & Stroke says. Women urgently need to catch up to men in Canada's health-care system because they are suffering and dying unnecessarily from heart disease, according to a new report. Heart & Stroke released a report titled "Ms. Understood" on Thursday that describes how women are at greater risk than men of not having their disease diagnosed and treated. Women are five times more likely to die from heart disease than breast cancer, the report's authors say. The percentage of deaths in hospital from those admitted with a heart attack at all ages was 6.50 among women and 4.34 among men, the group said, based on 2014 hospital admission data from the Canadian Institute for Health Information. The reasons for the disparities are varied. Overall, women's hearts are smaller than men's. But there are other differences, said Karin Humphries, scientific director of the BC Centre for Improved Cardiovascular Health and one of the report's authors. "While both men and women are most likely to complain of chest pain, the nature of that chest pain can be different," Humphries said in an interview. "Women, rather than describing it as a crushing pain might describe it as a heaviness or a discomfort or pressure." 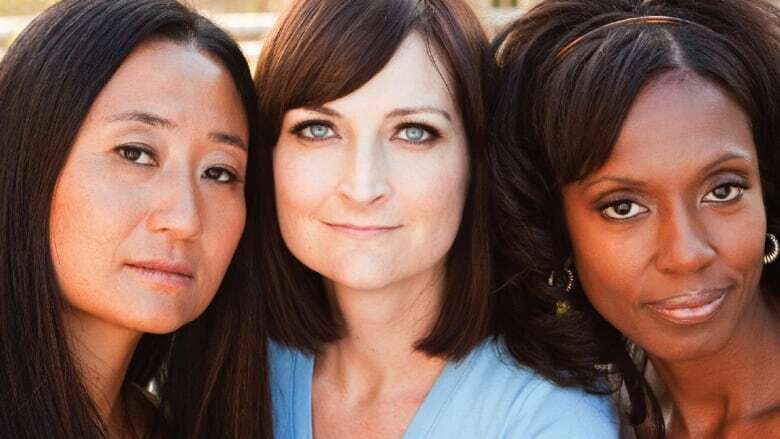 Women are also more likely to have more non-specific symptoms, such as fatigue, shortness of breath, sweats and palpitations, cardiologists say. The report's authors say heart attacks are more deadly for women in part because their hearts are affected by pregnancy, menopause and hormonal changes. For instance, nearly one-third of young women with premature acute heart attacks have a history of pregnancy disorders, such as gestational diabetes or hypertension that doubles their lifetime risk for heart disease. Physiological differences are also part of the reason, said Dr. Paula Harvey, chief of the department of medicine and cardiology division head at Women's College Hospital in Toronto. She was not involved in the report. "What's really troubling to a lot of us is in the younger women — so women less than 60 — we're actually seeing the rates of heart disease and death going up," Harvey said. "And these women, in particular, if they have a heart attack, are more likely than men to have a second heart attack or die within 12 months of that heart attack." 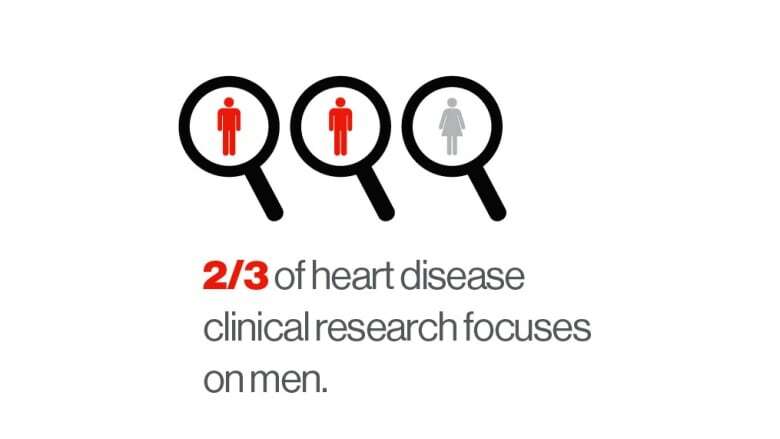 Heart & Stroke said the disease in women remains understudied, underdiagnosed and undertreated. Nancy Bradley, 58, of Kamloops, B.C., experienced all three. When Bradley started to feel heaviness in her chest and had trouble catching her breath last summer, she went to the hospital, told the triage nurse she was having a heart attack, explained her symptoms and was given Aspirin. Bradley waited five hours to see a doctor, who said he thought she was having bad heartburn. Unlike her previous instances of heartburn, Bradley was having pain in her left arm and jaw. Her father died at 53 from heart disease, and three siblings also had heart issues. "For the next two weeks, whenever it would flare up — I would get the pain in my chest again and discomfort in my arm and jaw — I would just eat Rolaids," Bradley recalled. "Then on Aug. 12 at about 7:30 in the morning, I'm out walking my dog, and I had a heart attack out in the field." After Bradley's severe pain stabilized, she was taken to Kelowna, B.C., to have a stent inserted to restore blood flow and then was discharged home alone despite feeling dizzy. She never saw a specialist for followup or received cardiac rehabilitation, a program of exercise and dietary advice as her brother did. Early heart attack signs are missed in about 78 per cent of women, according to Heart & Stroke. When a woman has a heart attack, she's less likely than a man to have major plaques. Rather, women tend to have more diffuse disease that involves smaller blood vessels, Harvey said. Standard diagnostic tests also tend to be harder to interpret in women. Some women are at greater risk. Those of South Asian, Chinese and Afro-Caribbean descent are more vulnerable to heart disease and have poorer outcomes compared with Caucasian Canadians, the report's authors say. For Indigenous Canadians who live on reserves, there's a lack of cardiac care resources in remote or rural hospitals. More broadly, nine of 10 women have at least one risk factor and most underestimate their risk. More women are taking up smoking, not exercising or eating properly and there's a higher prevalence of diabetes that increases risk of having a heart attack, Humphries said.